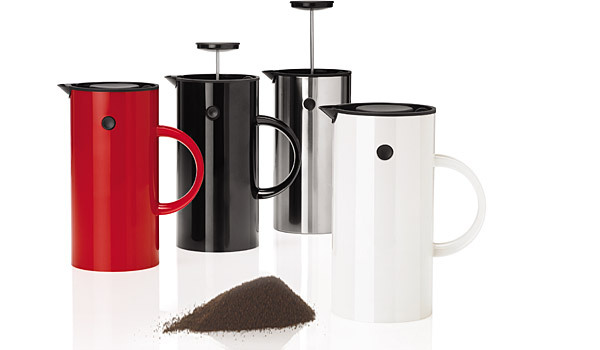 EM press coffee maker by Erik Magnussen / Stelton. Materials: Stainless steel, ABS plastic & PP. The press coffee maker brews up to 8 cups. Its double walls and simple open/close function keep coffee hot for a long time. To serve, grasp the knob and turn the lid open; close by turning the lid back. In 2011 the EM coffee maker received the prestigious iF design award.